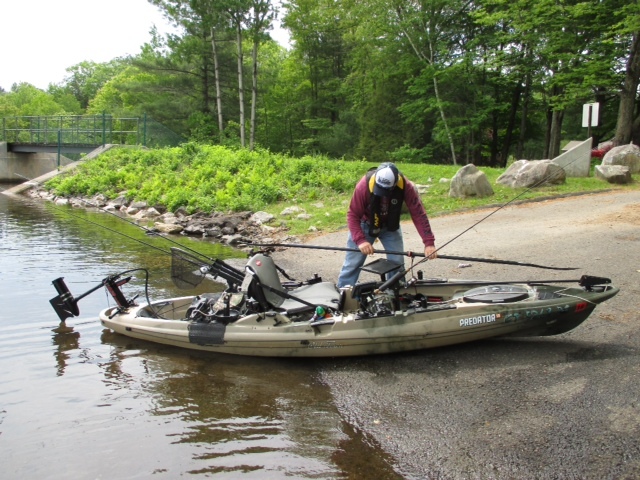 Includes trolling motor with customized retrofitted cassette, variable speed remote controller, customized aluminum propeller, propeller alignment arm and all hardware required for installation. Zinc anode on salt water models only. An abnormal current load is caused when a propeller gets fouled with sea grass, weeds, kelp, fishing lines or debris, causing the motor wires to heat up and shorting the control board and motor, and potentially destroying the motor. Hobie is a registered trademark. 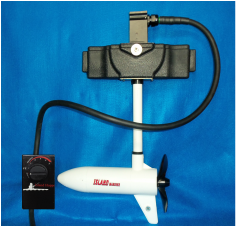 Island Hopper Outboards manufactures accessories to retrofit a many numerous kayak on the market, Island Hopper Outboards accessories are not a Hobie branded products. 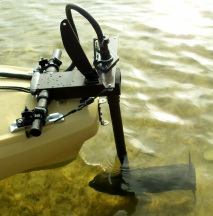 We do not sell or make any claim that these accessories are manufactured by Hobie.